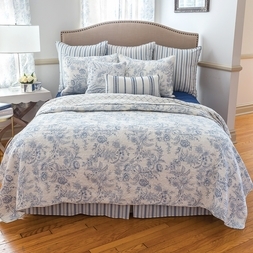 A fresh take on French country from the Williamsburg� Collection. In a soft, dusk blue toile floral on a white background, this 100% cotton collection reverses to a classic lattice pattern. 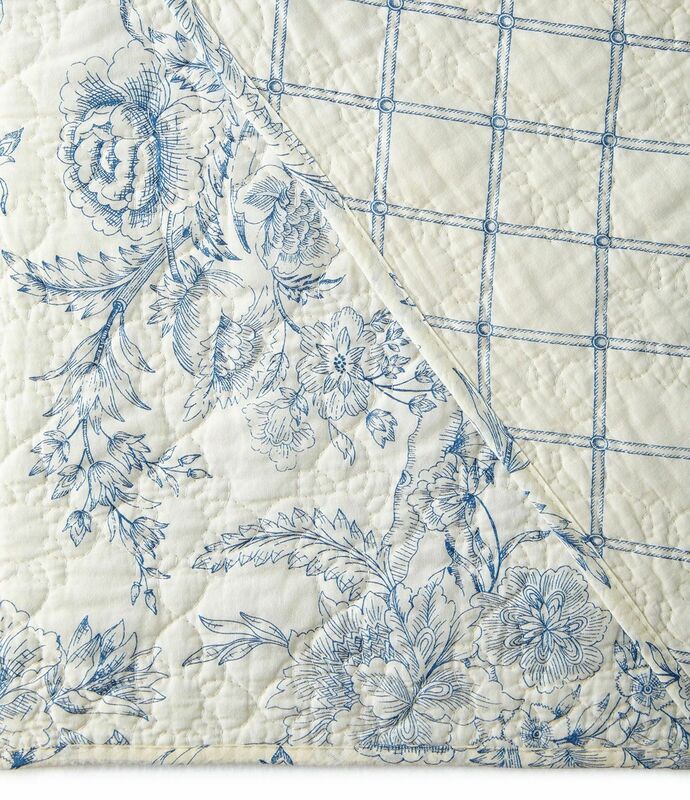 Toile, a favorite delicate floral of 18th-century design, remains popular today. 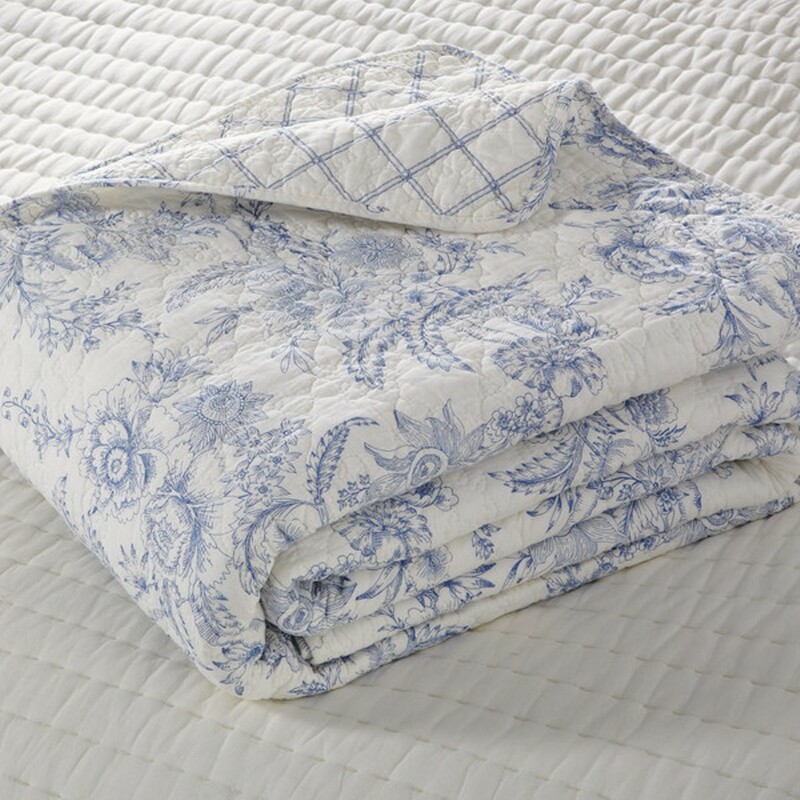 Bed skirt drop: 18 in.